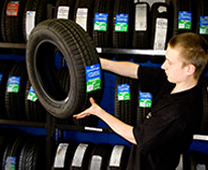 At JTT Autotech, we provide a complete tyre service for our customers. Tracking from £42.00 including VAT. We have a comprehensive stock of Roadstone Tyres, targeted at the top of the mid range tyre market. Look at our fantastic prices below and book an appointment online or just give us a call. We also supply other makes of tyre so please contact us and we will be happy to give you a quote.